Its been a busy few weeks as FFL has five new and two returning interns from across the country! 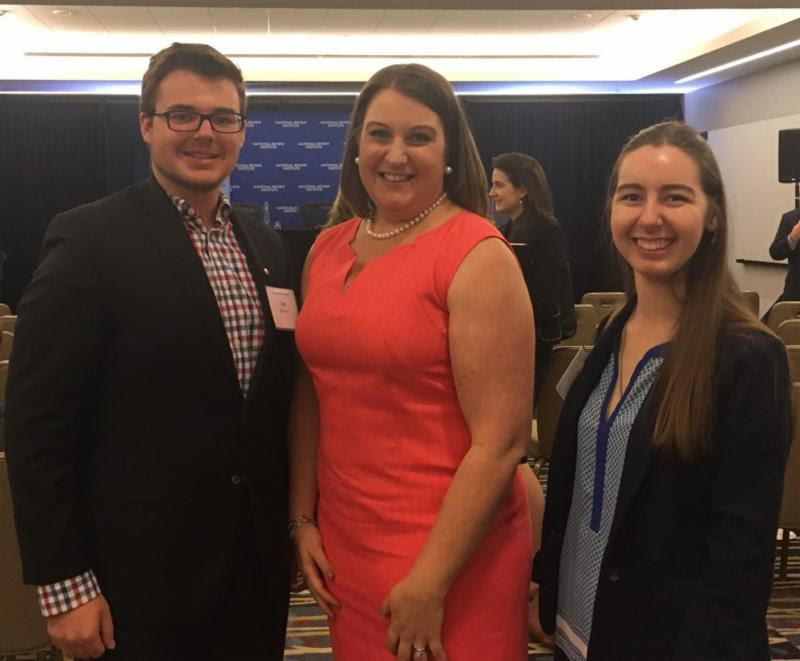 FFL recently had the honor of taking part in the “Fostering a Culture of Hope: Exploring Faith-Based Solutions to Foster-Care Needs” forum, which was hosted by Kathryn Jean Lopez, a senior fellow at the National Review Institute and an editor-at-large of National Review. Interns Ian McGinnis and Alanna Morgan were in attendance to spread FFL’s pro-woman, pro-life message, as well as our resources site, WomenDeserveBetter.com. Lopez interviewed FFL President Serrin Foster in advance of the forum, and Serrin opened up about her why foster care is so personal for her. You can read more here. • Should YOU Become a Foster Parent? Meanwhile, we are continuing to educate people in California on SB-320, which would set aside state funds to facilitate chemical abortions for college students. SB-320 would send a message to pregnant women that your child is an inconvenience and unwelcome here. If you are in California, we urge you to ask your legislator to vote no on SB-320, and instead ask that funds be redirected towards housing, childcare, and other forms of assistance, the lack of which has been disproportionately driving women of color who are mothers out of college. Please vote no to say mothers are welcome and supported on campus. You can read Serrin’s op-ed about SB-320 at Angelus, the official news outlet of the Archdiocese of Los Angeles, reprinted with permission from Naomi Wolf’s site, DailyClout. And finally, you’ll enjoy this: Helen Alvaré wrote an excellent op-ed for CNN, “Open your eyes, pro-life feminists are everywhere,” and gave FFL top billing! Thank you for your support during the double-match for new or increased monthly gifts! Summers are slow for donations, but not for our work. This is when we invest in the school year ahead with program development and upcoming unsponsored events at the Pro-Life Women’s Conference and on Capitol Hill. Please be generous as, like you, our “household” expenses are monthly, too!